freezer | Live Cheap, Feel Rich! 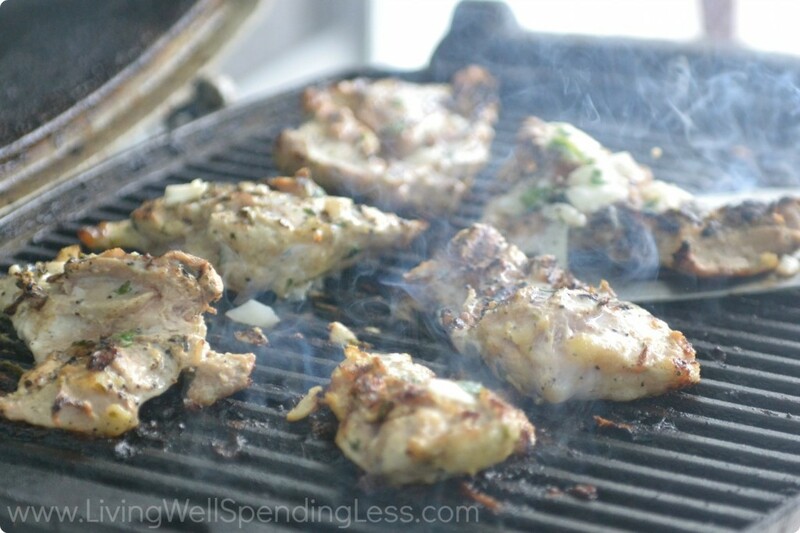 A slightly belated freezer meals rundown this week, but better late than never! This week is absolutely flying by – I forgot yesterday was even Wednesday! 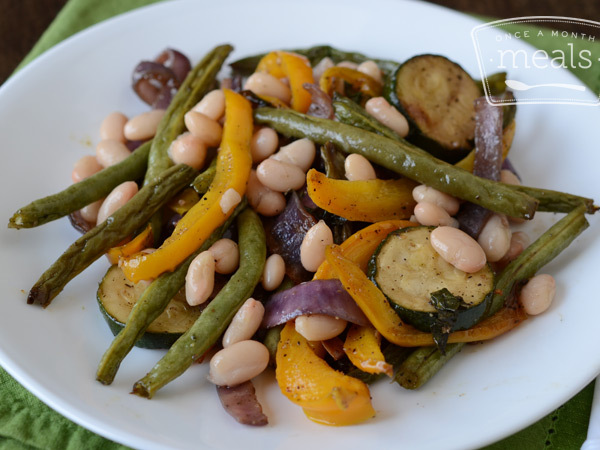 In honor of #WorldVegetarianDay, I decided that this week should highlight vegetarian freezer-friendly meals! Yay! If you are missing the meat, you can always sub in your favorite kind – but these are all really fun crowd pleasers. 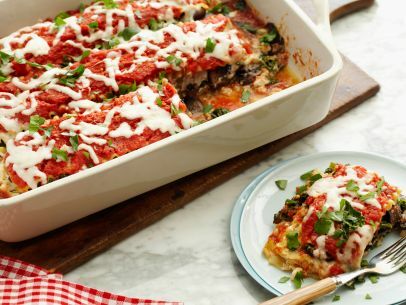 Fast Top Ten provides us with a super easy, traditional recipe for one of my all-time favorite vegetarian meals: eggplant parm. To make the freezer friendly version, you simply assemble the dish, but don’t bake it. 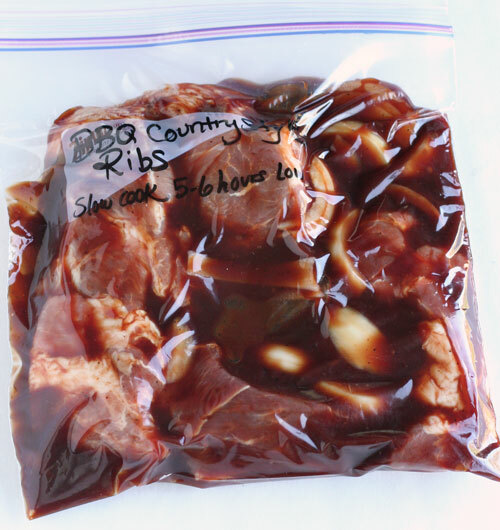 Wrap tightly with foil and freeze for up to 3 months. When you’re ready to enjoy, thaw completely and bake as directed. The general recipe here is pretty simple. Simply make the sauce with a food processor and simmer. Slice, coat eggplant with flour, egg, and breadcrumbs, and fry until golden – 2-3 minutes per side. 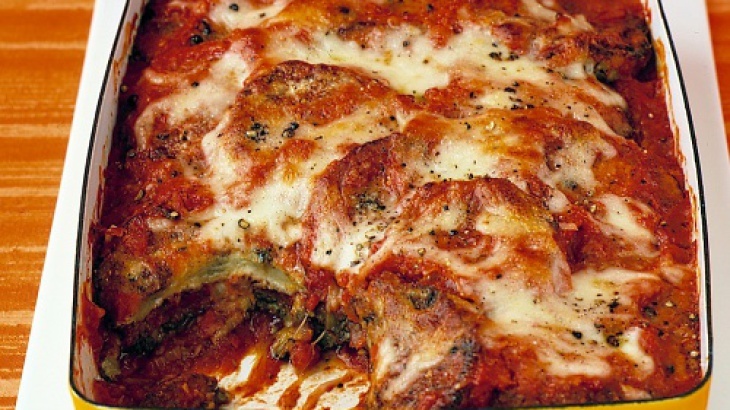 Then assemble the dish in a baking dish – tomato sauce, layering eggplant, parmesean, and mozzarella. 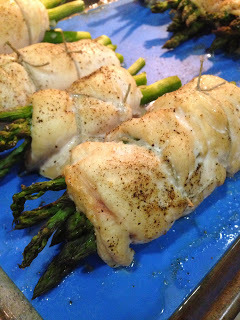 Bake until lightly browned and bubbling (whenever you decide to eat this) for about 40-45 minutes. Who doesn’t love mozzarella sticks? 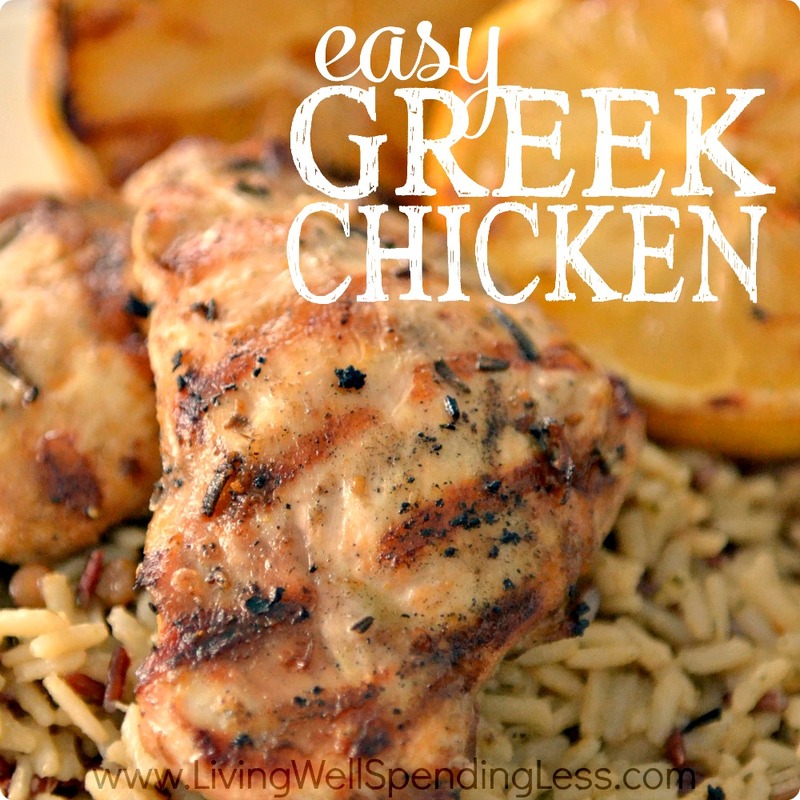 MomOnTimeout.com gives us a slightly healthier, freezer friendly version of this bar food staple. These are perfect for snacks, appetizers, or game day finger foods! Here’s the deal: this recipe is crazy easy, so long as your cheese sticks are frozen completely solid – otherwise these get goopy and sloppy really quickly! Unwrap the amount of cheese sticks of your choice, cut in half, and pop in the freezer. 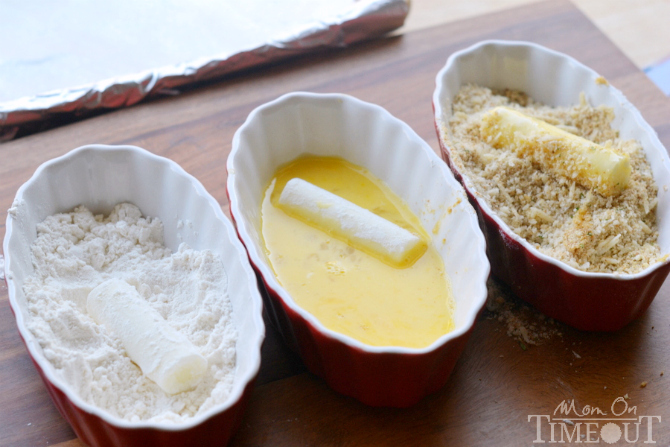 Set out 3 bowls – flour, egg, and breadcrumbs/parmesean combo. You know the drill – dredge in flour, dip in egg, finish with bread crumbs. You can always do a second coat if you feel you need it. 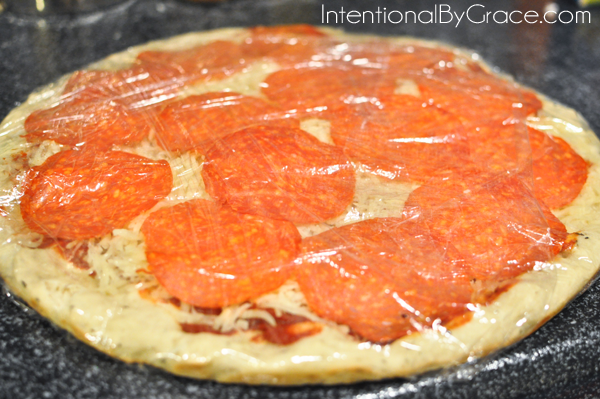 Place on a lined baking sheet and place in the freezer for an hour. 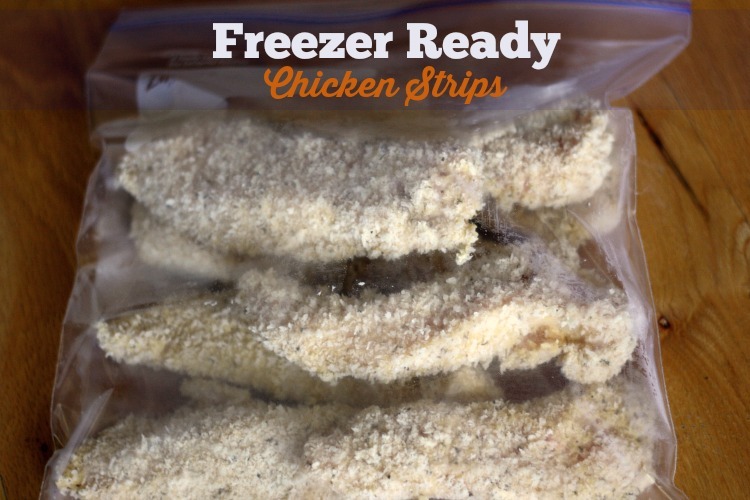 These can stay in the freezer as long as you want (store appropriately if it’s going to be awhile). Once you’re ready to bake, line a baking sheet with foil, spray with cooking spray, and line up your sticks. Bake for 3-5 minutes, turn, and bake for another 3-5 minutes. Serve with marinara! Yum! I am fully deep in the quinoa trend. 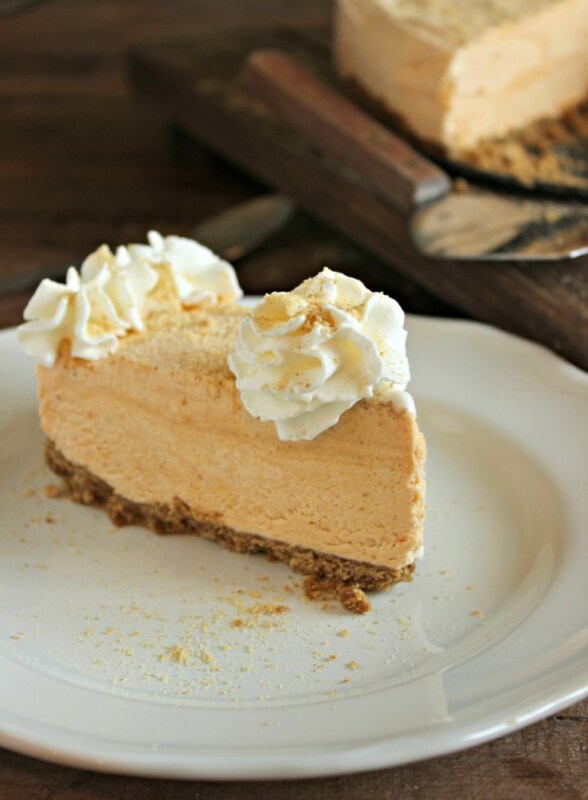 I love the texture and the ease with which it’s made – and of course, the lack of guilt I feel eating it. 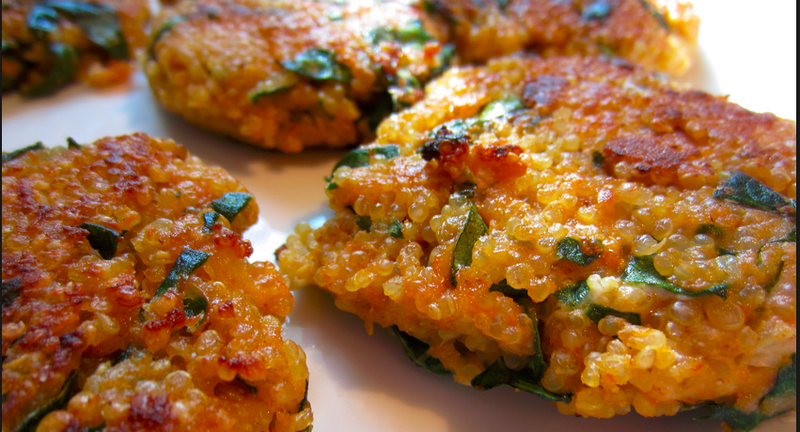 OnceAMonthMeals puts a new twist on quinoa with their garlic and chive quinoa cakes. Mix cooked quinoa, eggs, salt, pepper, garlic, shallots, and chives in a bowl and add mozzarella, Parmesan, flour, and panko. Mix well and let stand. Press into round cakes and saute patties for about 6 minutes on each side, placing on paper towels once done to remove excess oil. 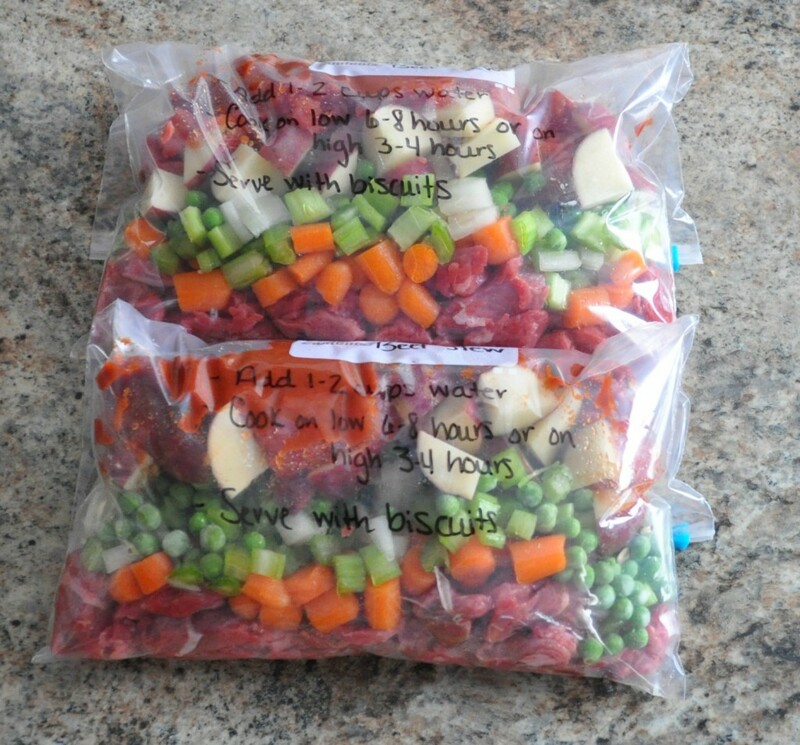 Allow to cool and divide into freezer bags to freeze! To serve, simply reheat in the microwave for 1-2 minutes. 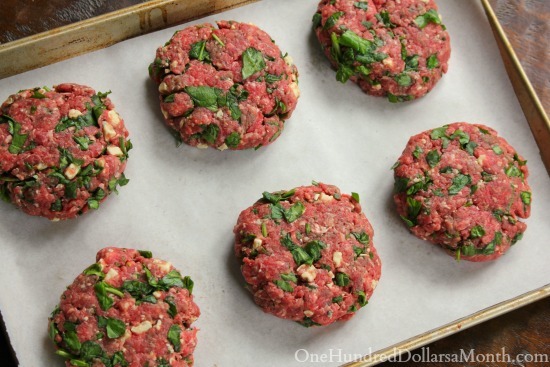 These are perfect for an appetizer or snack, or a full meal! Happy Thursday! This week is flying by! I’m thinking every week should only last 4 days…agree? Today, so I hear, is #NationalTVDinnerDay. 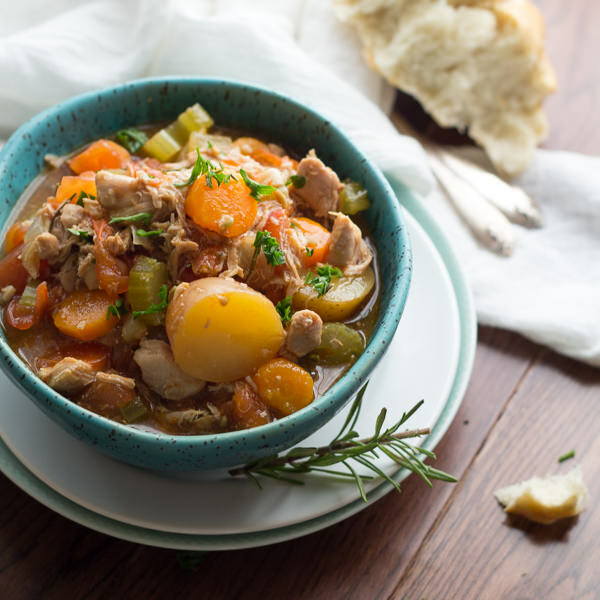 I’m not here to support the TV dinner, but rather give you some history on this craze and provide you with equally as easy, equally as convenient, but so, so, so much healthier of options! According to Wikipedia, the term ‘TV dinner’ is a genericized trademark originally used for a brand of packaged meal developed in 1953 by C.A. Swanson (sound familiar?). 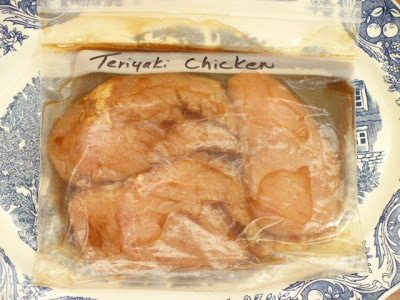 In the United States, the term remains synonymous with any prepackaged dinner purchased frozen in a supermarket and heated at home. I’ll admit, I have been guilty of these, as they are junkily delicious and so easy to pop in the microwave, but I couldn’t tell you the last time I had one, as luckily, in the past decade or so, I’ve become more health-conscious. The freezing process degrades the taste of food and the meals are thus heavily processed with extra salt and fat to compensate. Stabilizing the product for a long period generally means that companies will use partially hydrogenated vegetable oils for some items (usually dessert), which are high in trans fat. I know that they’re very convenient, but guess what else is just as convenient? 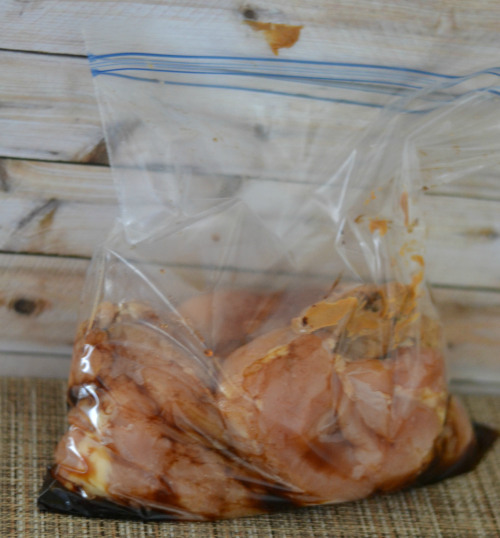 HOMEMADE FREEZER MEALS! Take a look, put a little bit of extra effort in, and call it your very own version of a TV dinner. Enjoy!